India is renowned for its diversity. Dissimilitude abounds in every sphere -from the physical elements of its land and people to the intangible workings of its beliefs and practices. Indeed, given this variety, India itself appears to be not a single entity but an amalgamation, a “constructs” arising from the conjoining of innumerable, discrete parts. Modern scholarship has, quite properly, tended to explore these elements in isolation. (In part, this trend represents the conscious reversal of the stance taken by an earlier generation of scholars whose work reified India into a monolithic entity – a critical element in the much maligned “Orientalist” enterprise.) Nonetheless, the representation of India as a singular “Whole” is not an entirely capricious enterprise; for India is an identifiable entity, united by – if not born out of – certain deep and pervasive structures. Thus, for example, the Hindu tradition has long maintained a body of mythology that weaves the disparate temples, gods, even geographic landscapes that exist throughout the subcontinent into a unified, albeit syncretic, whole. In the realm of thought, there is no more pervasive, unifying structure than karma. It is the “doctrine” or “law” that ties actions to results and creates a determinant link between an individual’s status in this life and his or her fate in future lives. Following what is considered to be its appearances in the Upanishads, the doctrine reaches into nearly every corner of Hindu thought. Indeed, its dominance is such in the Hindu world view that karma encompasses, at the same time, life-affirming and life-negating functions; for just as it defines the world in terms of the “positive” function of delineating a doctrine of rewards and punishments, so too it defines the world through its “negative” representation of action as an all but inescapable trap, an unremitting cycle of death and rebirth. Despite – or perhaps because of- karma’s ubiquity, the doctrine is not easily defined. Wendy Doniger O’Flaherty reports of a scholarly conference devoted to the study of karma that although the participants admitted to a general sense of the doctrine’s parameters, considerable time was in a “lively but ultimately vain attempt to define karma and rebirth”. The base meaning of the term “karma” (or, more precisely, in its Sanskrit stem form, karma a neuter substantive) is “action”. As a doctrine, karma encompasses a number of quasi-independent concepts: rebirth (punafjanam), consequence (phala, literally “fruit,” a term that suggests the “ripening” of actions into consequences), and the valuation or “ethic-ization” of acts, qualifying them as either “good” (punya or sukannan) or “bad” (papam orduskarman). In a general way, however, for at least the past two thousand years, the following (from the well known text, the Bhagavata Parana) has held true as representing the principal elements of the harm a doctrine: “The same person enjoys the fruit of the same sinful or a meritorious act in the next world in the same manner and to the same extent according to the manner and extent, to which that (sinful or meritorious) act has been done by him in this world.” Nevertheless, depending on the doctrine’s context, which itself ranges from its appearance in a vast number of literary sources to its usage on the popular level, not all these elements may be present (though in a general way they may be implicit). 1. Meaning of karma is contextual. 2. Meaning of karma is not unanimous. 3. Meaning of karma includes many other quasi-independent concepts. 4. Karma also means actions and their rewards. 3. As per the author, which of the following statements is wrong? a) India is a diverse country. b) Doctrine of karma runs across divergent Hindu thoughts. c) Doctrine of karma has a rich scholarly discourse. d) Scholars could not resolve the meaning of karma. e) Modern scholars have studied Hinduism as a syncretic whole. 4. Which of the following, if true, would be required for the concept of karma – as defined in Bhagavata Purana – to be made equally valid across different space-time combinations? a) Karma is judged based on the observers' perception, and hence the observer is a necessary condition for its validity. b) Karma is an orientalist concept limited to oriental countries. c) Each epoch will have its own understanding of karma and therefore there cannot be uniform validity of the concept of karma. d) The information of the past actions and the righteousness of each action would be embodied in the individual. e) Each space-time combination would have different norms of righteousness and their respective expert panels which will judge each action as per those norms. b) only those actions which yield a "phala". d) ripening of actions into consequences. 6. 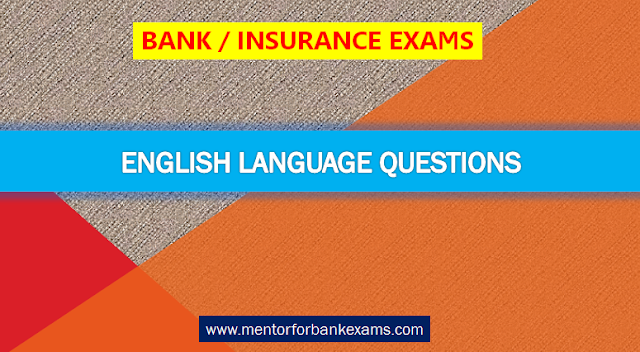 Which of the following best characterizes the function of the final sentence of the passage? a) It is such as an alternative explanation for phenomenon discussed earlier in the passage. b) It provides data intended to correct a common misconception. c) It further weakens an argument that is being challenged by the author. d) It introduces a specific piece of evidence in support of a claim made at beginning of the final paragraph. e) It answers a question that is implicit in the preceding sentence. 7. The passage suggests that organizations’ movement to the “new paradigm” is based in part on the expectation that wrongful discharge suites against employers are? c) less likely to be filed by contract employees than by permanent employees. Read the line – ‘the valuation or “ethic-ization” of acts, qualifying them as either “good” (punya or sukannan) or “bad” (papam orduskarman). As per the given context, ethic-ization means valuation of acts, qualifying them as good or bad. Qualifying or valuation here doesn’t mean making something ethical, converting unethical to ethical or teaching ethics. It simply means judging or deciding or evaluating whether the act is good or bad. So the right answer is (c). Refer to this sentence from the passage: “the same person enjoys the fruit of the same meritorious or sinful act in the next world, in the same manner and to the same extent, according to the manner and extent to which that act has been done by him in this world”. The option that is best inferred from this paragraph is option (D). Answer can be found in line – The base meaning of the term “karma” (or, more precisely, in its Sanskrit stem form, karma a neuter substantive) is “action”. So option (c) is the right answer. Paradigm means a typical example or pattern of something; a pattern or model. Archetype means a very typical example of a certain person or thing. Hence both are similar in meanings. Euphemistic means using or of the nature of a euphemism. Evasive means tending to avoid commitment or self-revelation, especially by responding only indirectly. Hence both are similar in meanings. Engender means cause or give rise to (a feeling, situation, or condition). Repress means restrain, prevent, or inhibit (the expression or development of something). Hence both are opposite in meanings.